LOFT Pride 2016 was the biggest Pride event yet in Westchester! 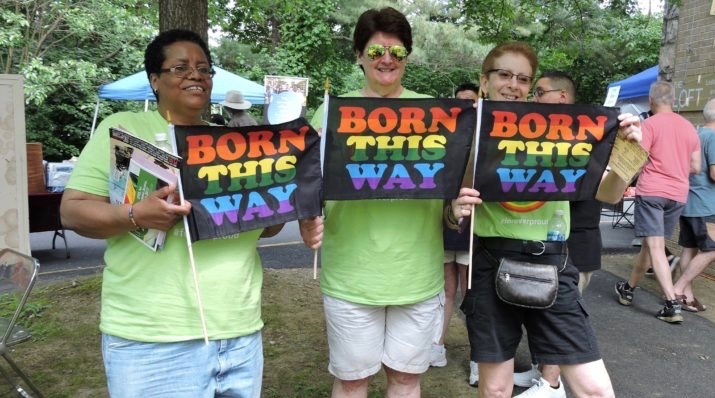 Every year the LOFT LGBT Community Center in White Plains throws a party in June to celebrate Pride. ?And this year was so fun! Did we spot you in our photos? Sponsors like TD Bank, Ignite Bar and Lounge and Westchester Broadway Theater made the day possible, including performances of TONEWALL from the New York City Gay Men’s Chorus and Broadway Sings For Pride, which featured Christine Dwyer who played Elphaba in Wicked. There was a talent and magic show, pet parade, fun for the kids, raffles and great vendors and artists to shop from like Madge Scott and BearoticArt. Lots of organizations also were there showing support like PrideWorks for LGBTQ Youth and Their Allies; LGBTNetwork.org/PTSA; GLSEN Hudson Valley; and St. John’s Episcopal Church in New Rochelle.